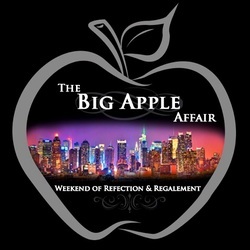 In 2014, The Big Apple Affair was a great success! In it's first year, The Big Apple Affair was able to raise nearly $3,000 for the Eagle Academy Foundation in New York, NY. Founded with the spirit of service, The Big Apple Affair was created to give back to the community by enhancing the development of minority youth in urban communities. The weekend consisted of a round up, a BBQ, and the main event: The Big Apple Affair! An awesome time with awesome people for an awesome reason - coming together for a cause greater than ourselves!